As we march through the final month of 2013, it’s a great time to reflect on the year that was. It’s also an opportunity to look into the crystal ball to see what’s coming in 2014. This week, we announced our predictions for small business marketing in 2014. 2014 is the year when small businesses start asking questions about how data can help grow their business — much like they did with mobile two years ago and social media five years ago. Small businesses have access to plenty of data they can use to grow their business, from sales receipts, to Facebook Insights, to Google Analytics, and more. For small businesses that don’t have the time to leverage data, resources like Constant Contact can offer insights from Big Data analytics, like the best time and date to send an email to optimize open rates. -Jesse Harriott, chief analytics officer of Constant Contact. What can you do now? In addition to looking at open rate information, metrics like clicks and forwards can help determine how to make your emails more successful. You could also segment your contact list based on your contact’s preferences. Try looking at clicks to determine user preferences, or send a survey to your contacts asking them about their preferences. You should also take some time to learn more about why people are signing up to join your email list and why some people are choosing to opt out. Do You Know Why People Are Unsubscribing From Your Emails? And don’t forget about the great analytics tools available on social media as well. These tools can be used to measure your results and improve your strategy for 2014. For many small businesses, 2013 was the year when they began experimenting with mobile business practices. With ABI Research predicting that worldwide smartphone usage will reach 1.4 billion by the start of 2014, small businesses will need to react quickly to growing consumer mobile expectations by implementing mobile payment processes. And the good news is that the technology driving mobile POS has come a long way in the past few years, making it easier for small businesses to implement technologies from companies like Square or LevelUp. What can you do now? Start by looking at your website (both online and mobile) to make sure it’s providing the right content and payment options for consumers. The Constant Contact MarketPlace also has some helpful third-party POS integrations to get you started (some even help you grow your contact list at the POS)! Keep in mind that the influence of mobile will go beyond in-store purchases. Mobile is already having an influence on your marketing activities and will have an even greater influence in 2014. Over the last few years, social media marketing for small businesses has continued to trend upward. In a recent Constant Contact survey, small businesses continued to rate the “big three” social media channels (Facebook, Twitter, and LinkedIn) as most effective for their organization. While these channels remain important for small businesses, we have started to see more visual channels like Pinterest and YouTube gain popularity. With consumer attention spans growing shorter, 2014 will be the year where we see an increase in visual-based social networks like Pinterest, YouTube, Instagram, Tumblr, and Slideshare. What can you do now? Start small. Get up and running on just one of the visual-based social networks like Pinterest or Instagram, and then expand once you’re ready to take on more. Looking to create more visual content on your existing social channels? 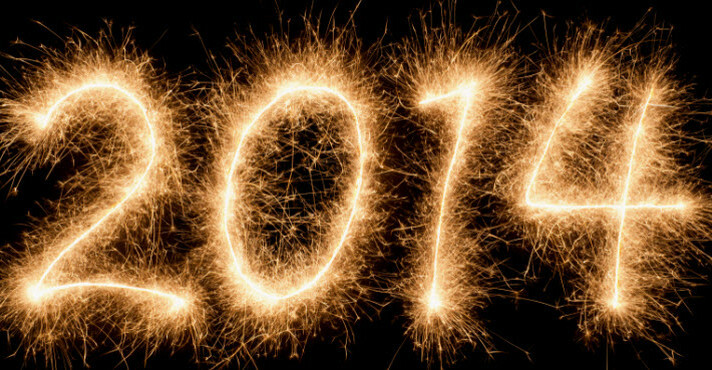 Do you have any small business predictions for 2014? Share them in the comments below!